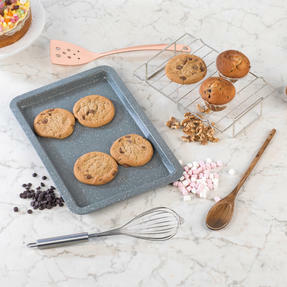 Get creative in the kitchen and bake delicious treats with this Salter baking tray and two cooling racks. Made from carbon steel, the tray has a non stick, grey marble coating, suitable for all manners of baking. Give it a light wipe with butter, spread the mixture or ingredients about and pop into the oven. When done, simply wash with warm soapy water and a soft cloth to preserve the marble finish. 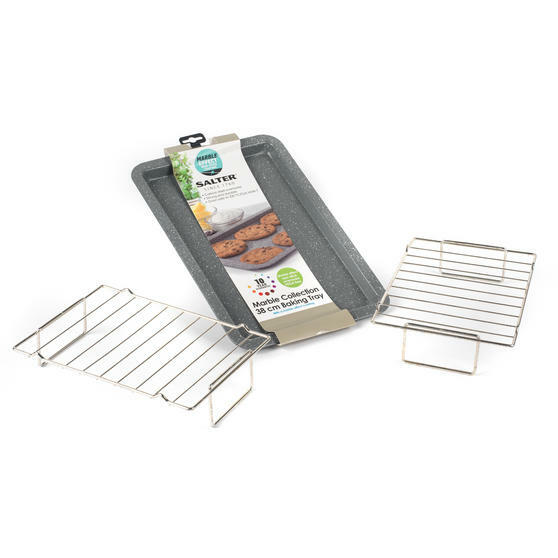 Practical and durable, the stainless steel racks are ideal for everyday use and are perfect for cooling baked foods. 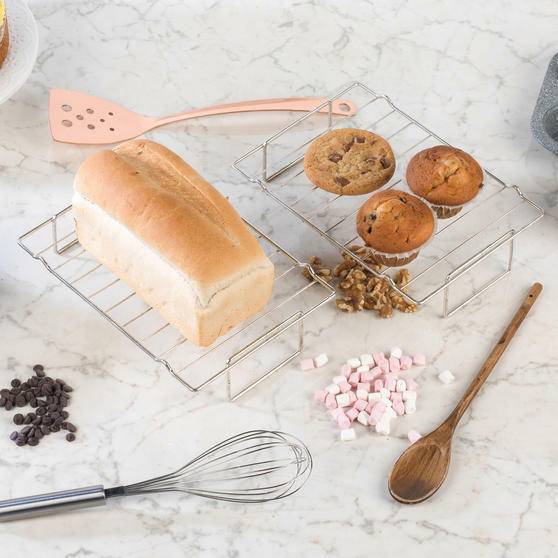 Part of the Salter marble collection, this baking tray is high quality with a classic finish that will look lovely in your kitchen. Made from stainless steel, the multi-purpose racks can be used for roasting or as cooling racks for your baked goods. 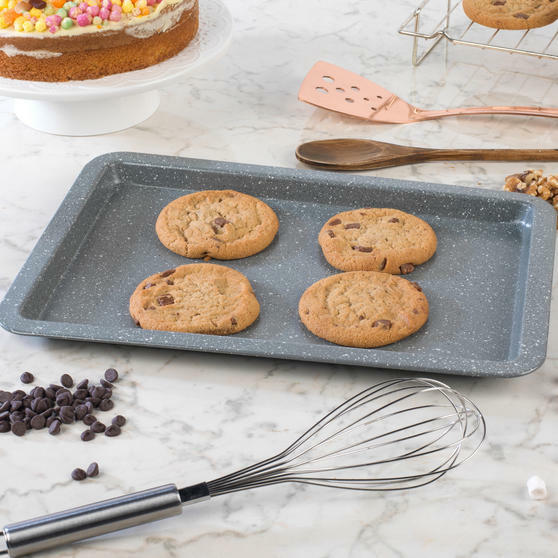 Made from gorgeous grey carbon steel, the heavy gauge baking tray is strong, durable and long lasting, so you can bake with confidence. 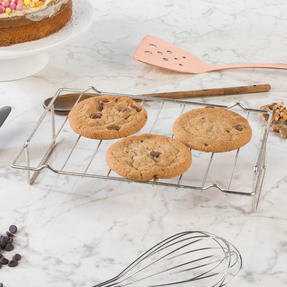 Measuring 26.5 x 18 x 2 cm, use the racks to leave freshly baked treats to cool ready for decorating, or leave meat to rest. 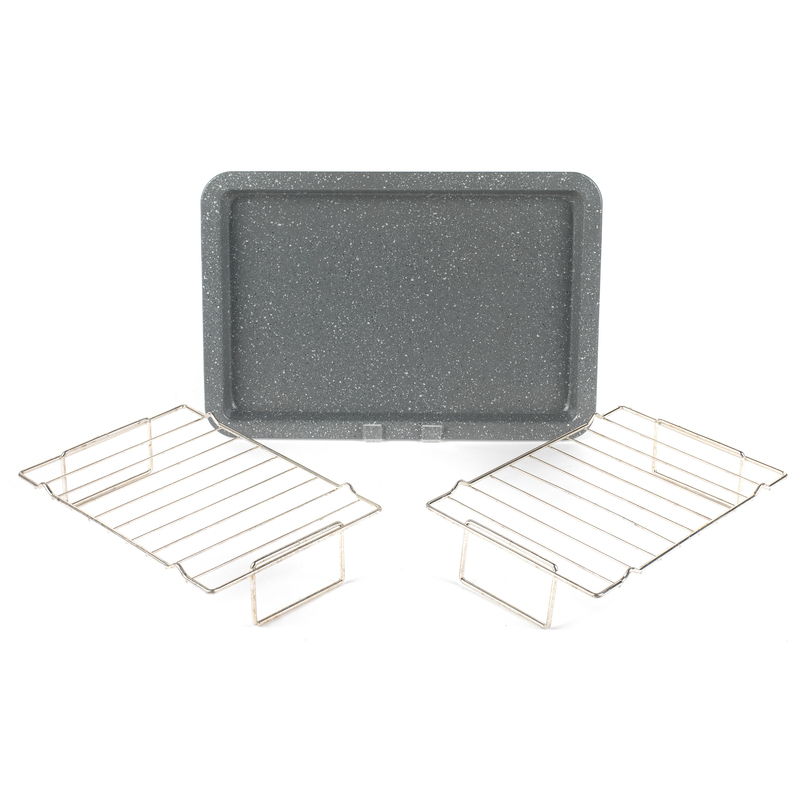 A perfect kitchen addition and easy to wipe clean, this set includes a 38 CM baking tray and two cooling racks.